We thought we would take a moment to introduce ourselves and tell you about the inspiration behind Kaolin. Ceramics is a humble material that when formed with care by the hands of makers can be transformed into objects that will last a lifetime. We love the beauty of this simple but complex material, and we're fascinated by the variation of form and colour that can be achieved with it. We are Rachel Carter and Kate McIntyre. We are both makers and have each been working with clay for the past ten years. As makers, we believe in supporting local artists, celebrating craftsmanship and elevating the handmade. We met while developing our own practices at Collis Studios in 2009, under the mentorship of renowned potter Peter Collis. Since that time, we have exhibited and sold our work throughout Australasia. We have taught classes and run workshops. Between us, we have won awards for our work, completed international residencies and worked with top chefs and designers. 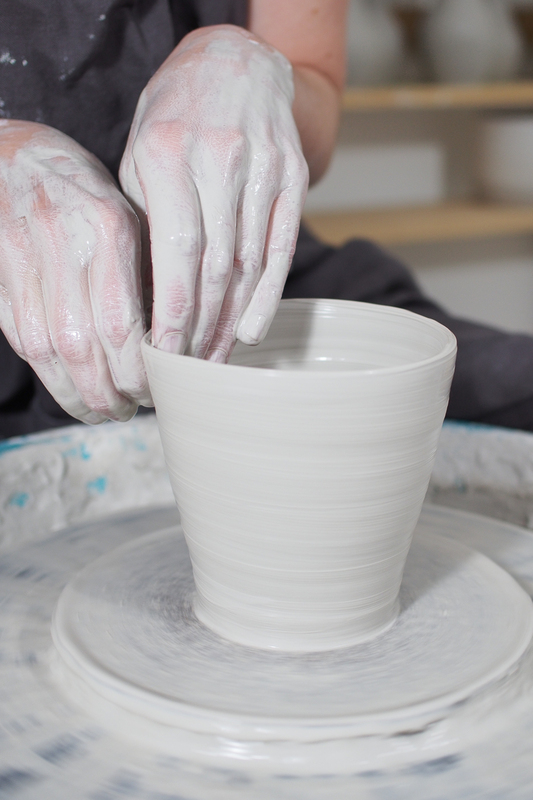 We love being part of the ceramics community and saw this as an opportunity to connect with the makers around us. A chance to not only share their incredible work, but offer a platform that celebrates local makers, supports handmade and small batch production. We strive to find work that has longevity, a beautiful functionality and is a joy to use.